Meet here every Sunday morning at 9:00am and offer service in the Malayalam Language. For over two decades The Chatmans have been spreading the message of Jesus Christ through song. During the last 10 years, they have recorded over 10 great releases, including the 1997 release, "God Can", which reached #1 on radio charts. This resulted in The Chatmans being nominated for Atlanta's Gospel Choice Awards. 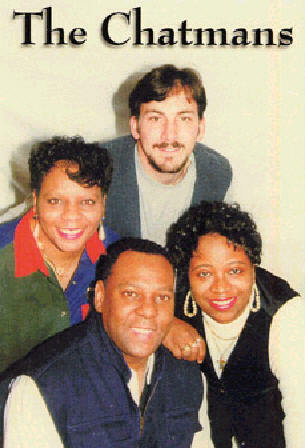 Their group is comprised of lead singer Joe Chatman, Shelia Sellers, Cherry Chatman and Jason Carnes. Every Week 400 CD's of the previous Sunday's service are delivered to 41 businesses in and around Lawrenceville. The CD's are offered free to their customers from racks these businesses allow us to place on their check out counters.